$20 for each additional girl. *Each girl keeps her nail file. $22 for each additional girl. $42 for each additional girl. $30 for each additional girl. $50 for each additional girl. *Each girls keeps her nail file. $55 for each additional girl. Get Polished Up! Girls love to have their nails polished. Our Princess Express Party allow you to stay on budget and still enjoy all the fun! $16 for each additional girl. $32 for each additional girl. 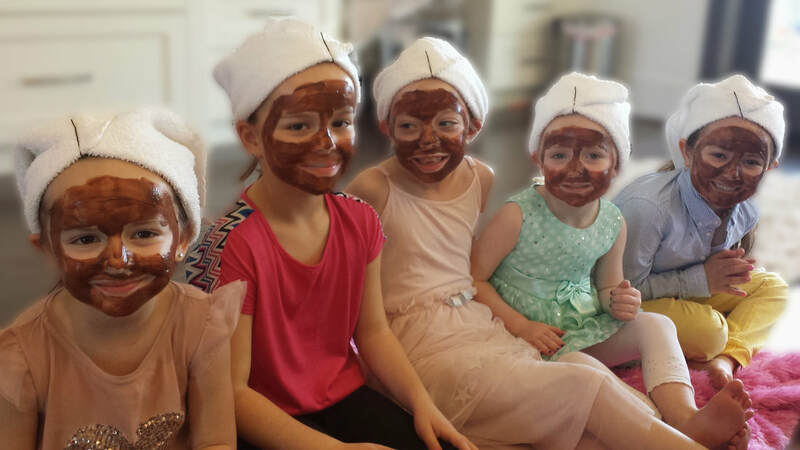 Want to keep the girls busy while waiting for their pampering done? Have the girls making their own lip balms, bath salts, body butter and more to take home! These make and take projects can be created before, or after the "spa pampering" and then added to the party favor bags. ﻿Glitter Tattoos are the hottest body art form in the world today. It is a fun way to entertain guests in parties and events. Even Hollywood celebrities are loving the sparkle on the red carpet! *These additions are only available when added to one of our party package.